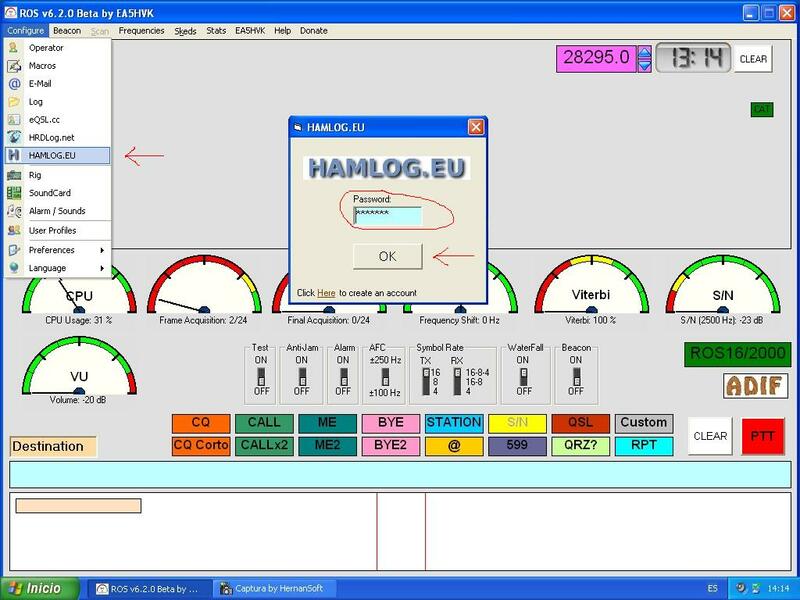 Similar to eQSL.cc and HRDLog.net, QSO’s can be exported to HAMLOG.EU easily. Thanks to Zoli HA9RQ. 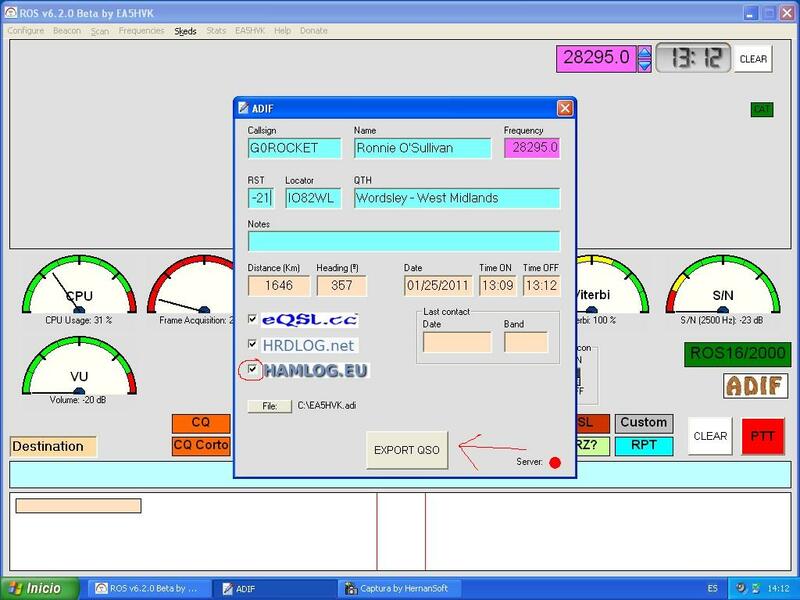 Select Open QSO exported if you want check the QSO recorded. 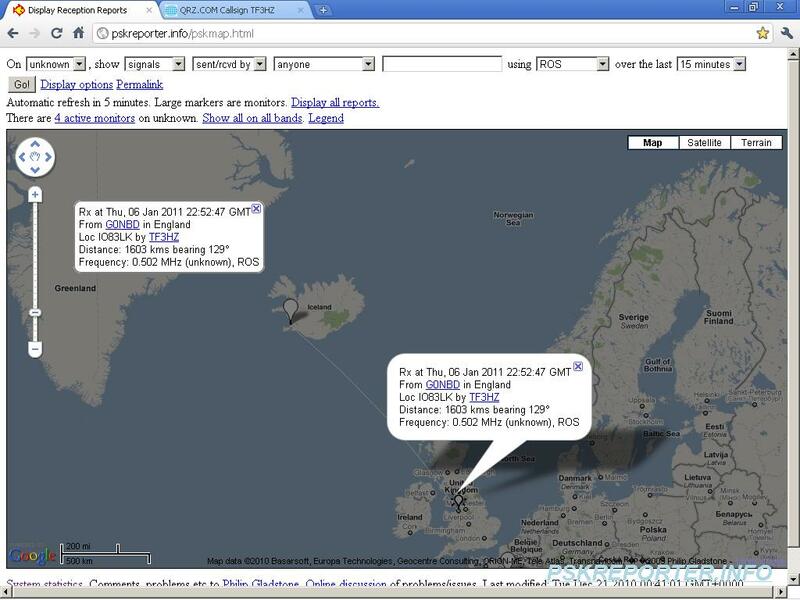 Configuration is very easy and similar to eQSL . 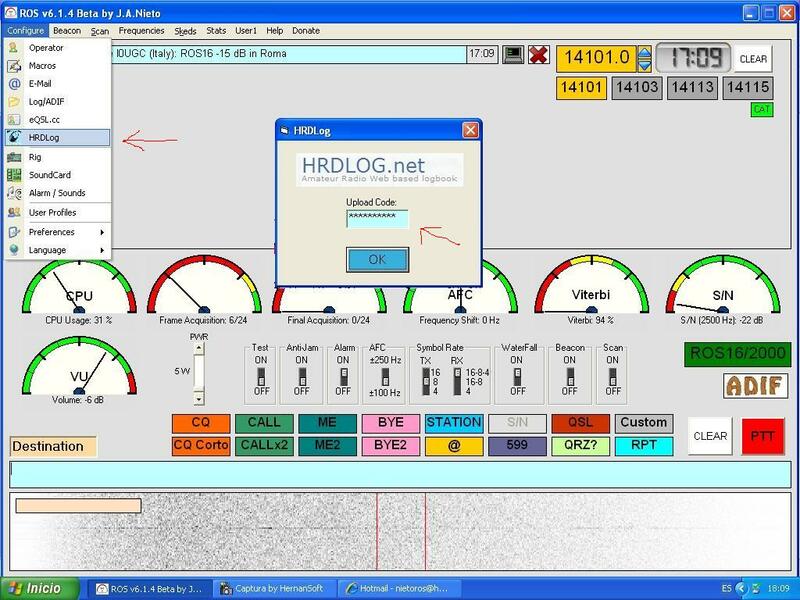 Simply enter your Upload Code and click on the HRDLog check. 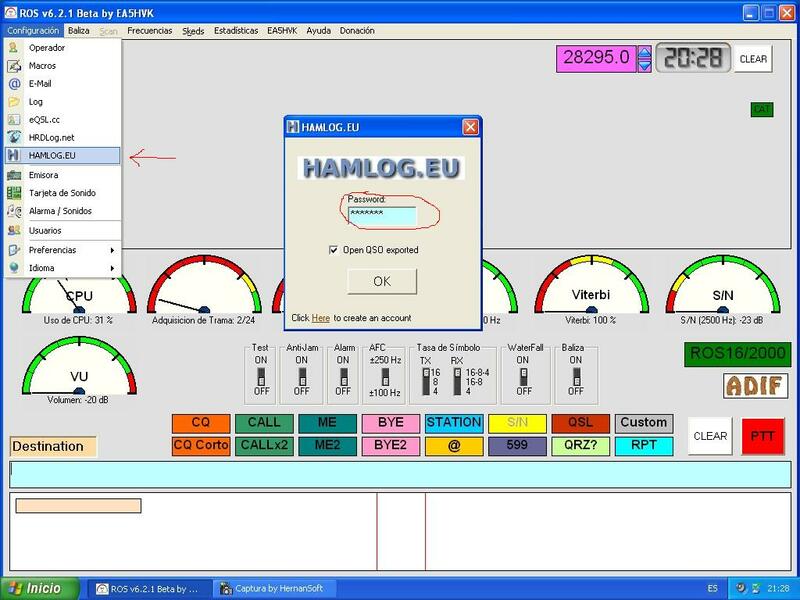 At the same time you press on EXPORT QSO, the QSO will be sent to HRDLog.net. 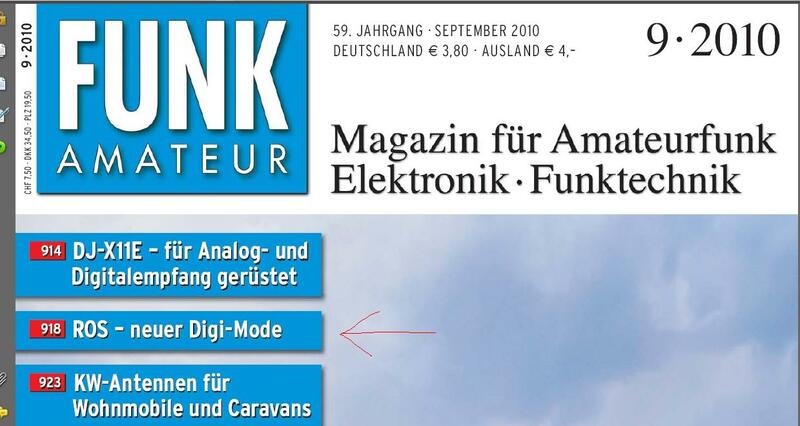 Some soundcard interfaces need an extra audio attenuation to avoid ALC saturation. 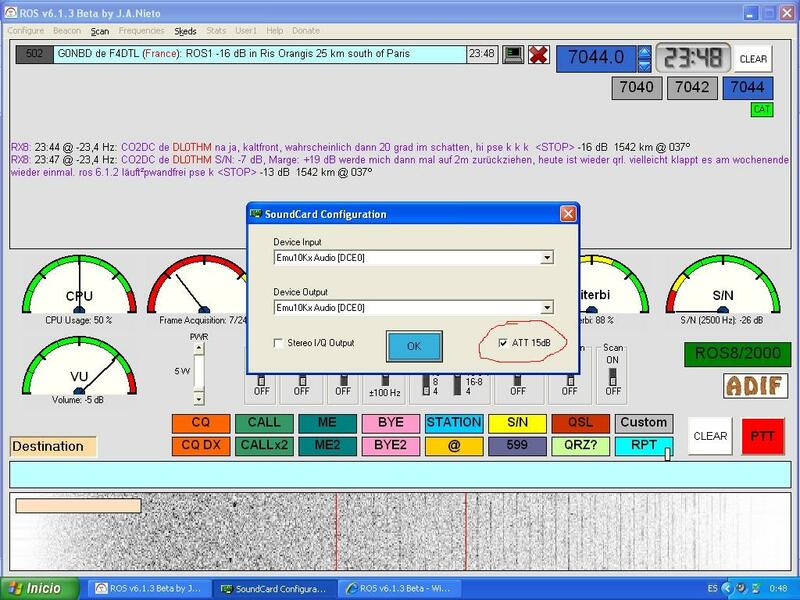 A 10dB attenuator has been added in Soundcard Menu. 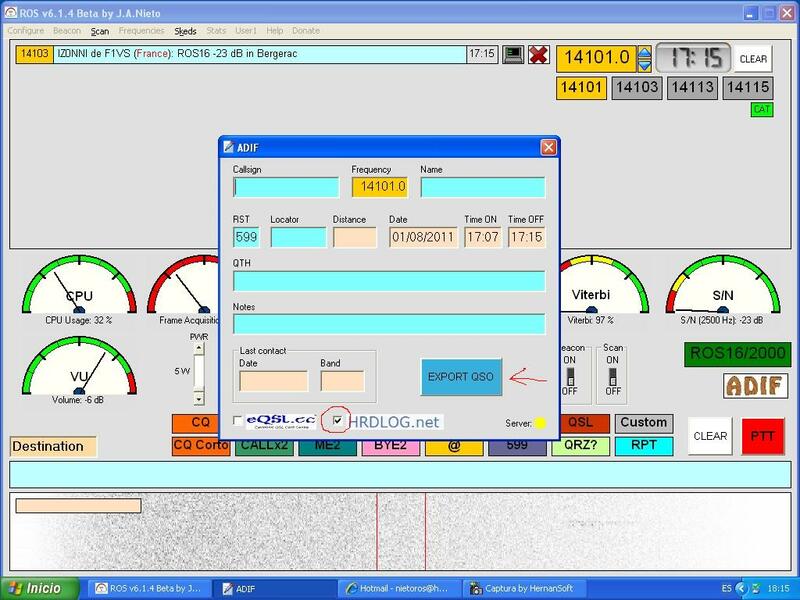 Now ROS CAT 2.0 scans and set the parameters of your Kenwood interface automatically. Available since ROS v6.1.2 Beta.